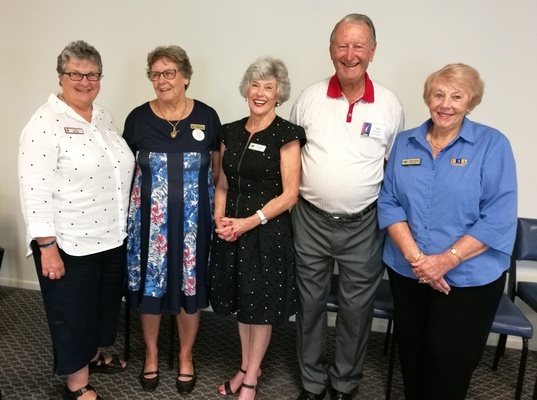 University of the Third Age (U3A) presidents from around the Darling Downs got together for one of their regular Presidents’ Council meetings in Warwick last Tuesday 19 March. Pictured from left are Julie Barnes (Stanthorpe), Marg Cook (Dalby), Gail Bonser, (Qld Network), Neil Bonnell (Warwick) and Rhonda Weston (Toowoomba). The University of the Third Age is the age of active retirement, coming after the age of youth and work and home making. University is a loose term – there are no academic requirements for membership and no exams. U3A is a worldwide self-help organisation promoting learning for personal enjoyment and wellbeing. Keeping the brain active, doing interesting things and making new friends are essential for helping older people to maximise their chances of independence, and this is what U3A does very effectively. U3A is making a very substantial contribution to society by helping its members to remain healthy and active for longer. To find out more contact Neil Bonnell 0408 361 482.